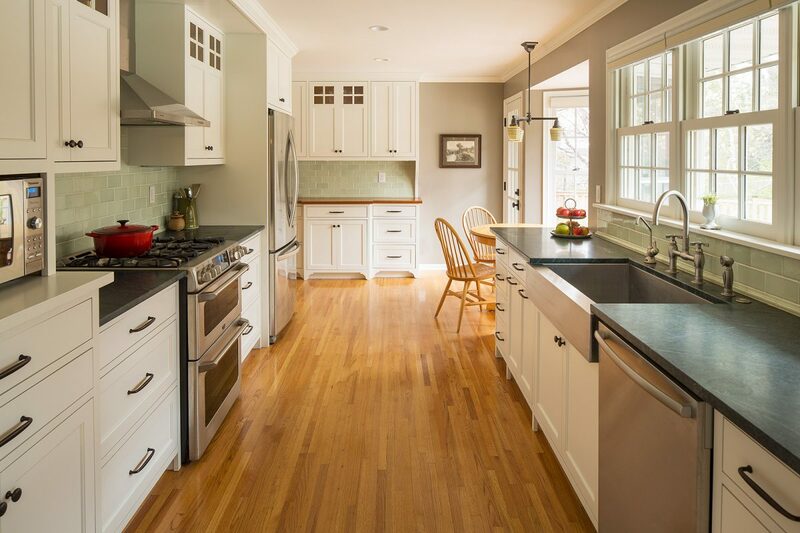 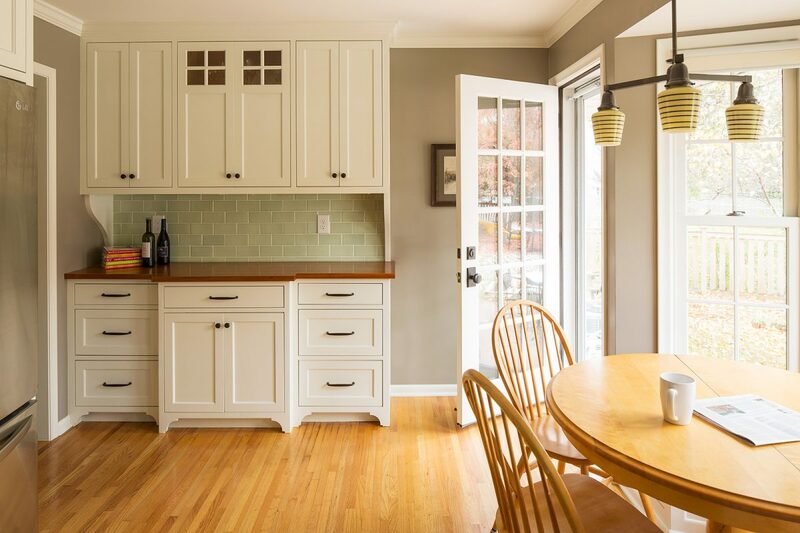 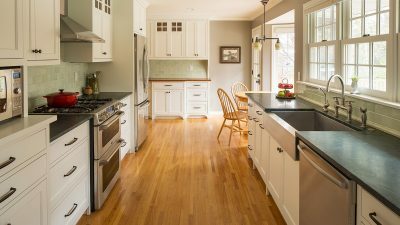 This renovation is an example of how dramatic improvements can occur within an existing space. 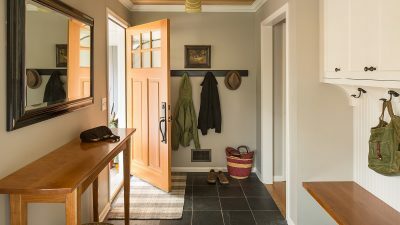 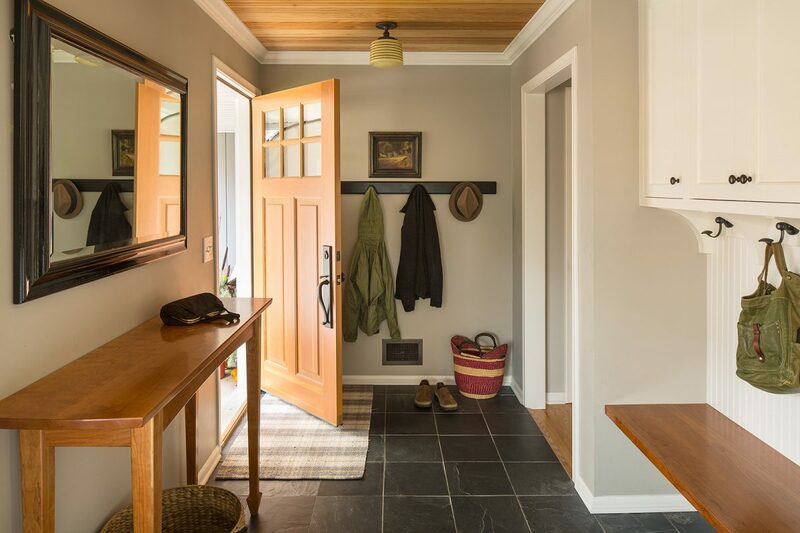 Square footage was borrowed from the oversized living room to create a front entry/mudroom and piano niche, and allow the living room to become a more appropriate size. 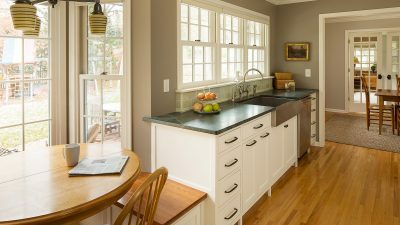 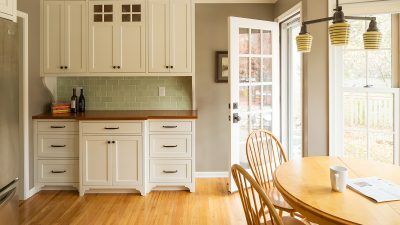 The elongated kitchen, kept in the same location, was reorganized to form a stronger connection between the informal dining area and cooking area, as well as improve the quality of storage. 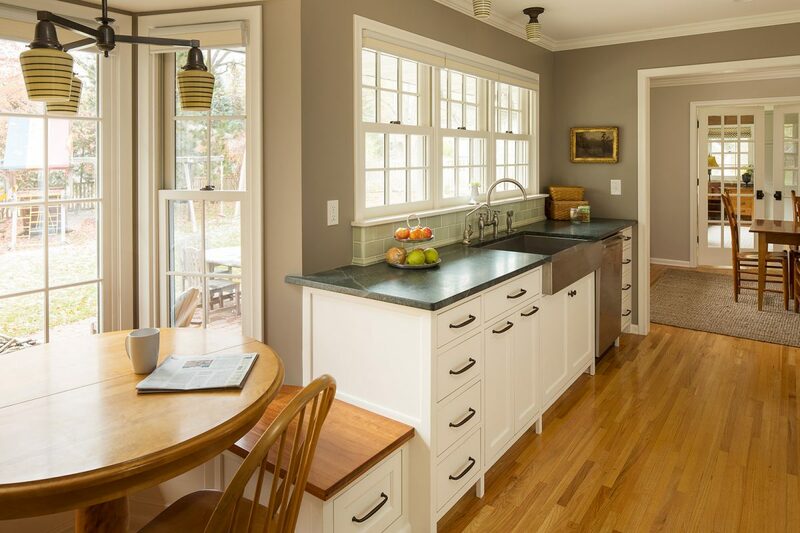 The buffet at the far end of the kitchen and natural light from additional windows makes the long space feel like a cohesive whole.